The suicide rate in the US has surged to its highest level in almost three decades, according to a new report. The increase is particularly pronounced among middle-age white people who now account for a third of all US suicides. The Centers for Disease Control and Prevention (CDC) report did not offer an explanation for the steep rise. However, other experts have pointed to increased abuse of prescription opiates and the financial downturn that began in 2008 as likely factors. The report did not break down the suicides by education level or income, but previous studies found rising suicide rates among white people without university degrees. "This is part of the larger emerging pattern of evidence of the links between poverty, hopelessness and health," Robert D Putnam, a professor of public policy at Harvard, told the New York Times. CDC reported on Friday that suicides have increased in the US to a rate of 13 per 100,000 people, the highest since 1986. Meanwhile, homicides and deaths from ailments like cancer and heart disease have declined. In the past, suicides have been most common among white people, but the recent increases have been sharp. The overall suicide rate rose by 24% from 1999 to 2014, according to the CDC. However, the rate increased 43% among white men ages 45 to 64 and 63% for women in the same age-range. In 2014, more than 14,000 middle-aged white people killed themselves. That figure is double the combined suicides total for all blacks, Hispanics, Asians, Pacific Islanders, American Indians, and Alaska Natives. The suicide rate declined for only two groups: black men and all people over 75. 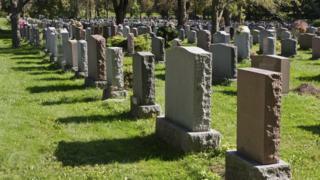 Why is death rate rising for white, middle-aged Americans? Can suicide rates be reduced to zero? Video Why do Americans consume 80% of world's painkiller drugs?